Robert Cox created this. Awesome work. 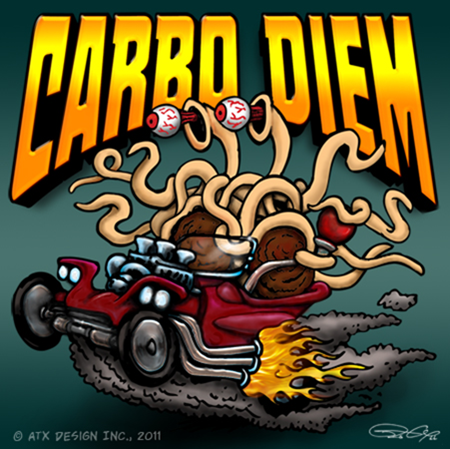 Big Daddy Roth and Rat Fink would be proud! We need also drivers licence to drive carriage the flying spagettimonster !!!!! This is brilliant. Definitely t-shirt material. I will preorder 7 of different colors so i could wear one each day of the week. Obviously with all proceeds to go to FSM website.